You are currently browsing the tag archive for the ‘meeting’ tag. 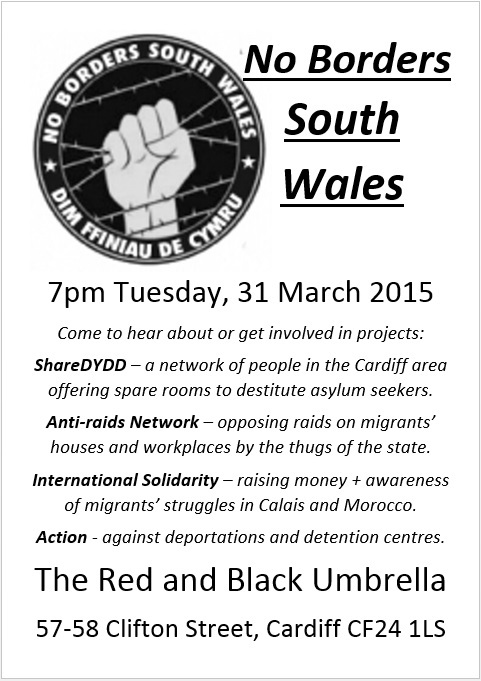 Meeting of No Borders South Wales tonight (plus people from the ShareDYDD destitution network). No meeting this Monday, as many of us will be out of Cardiff. From 7pm – 8pm at the Red and Black Umbrella Social Centre. We will be also going to eat or drink together afterwards. This will depend on what those present want to do. 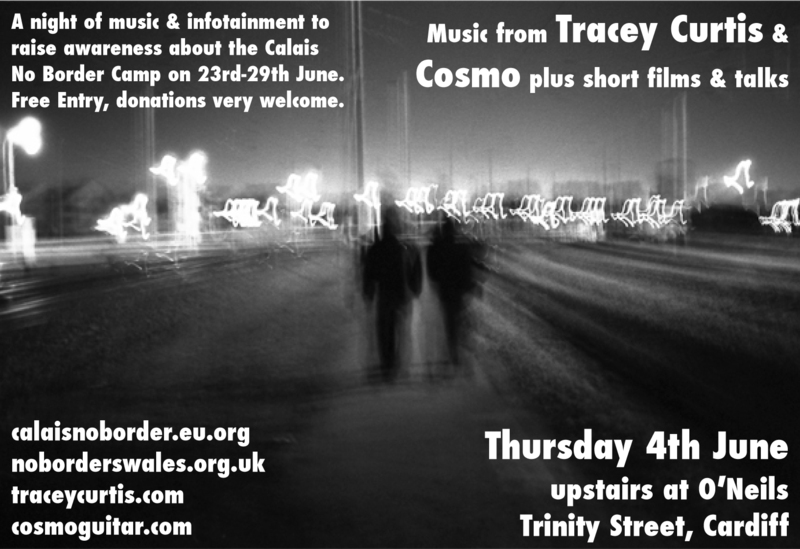 On 23-29 June 2009 there will be No Border Camp in Calais, Northern France. No Borders South Wales will be attending, and will be organising transport from Cardiff, please get in contact if you’d like to come along. As part of raising awareness and mobilising for the camp over the next two months we will be holding a series of public events.